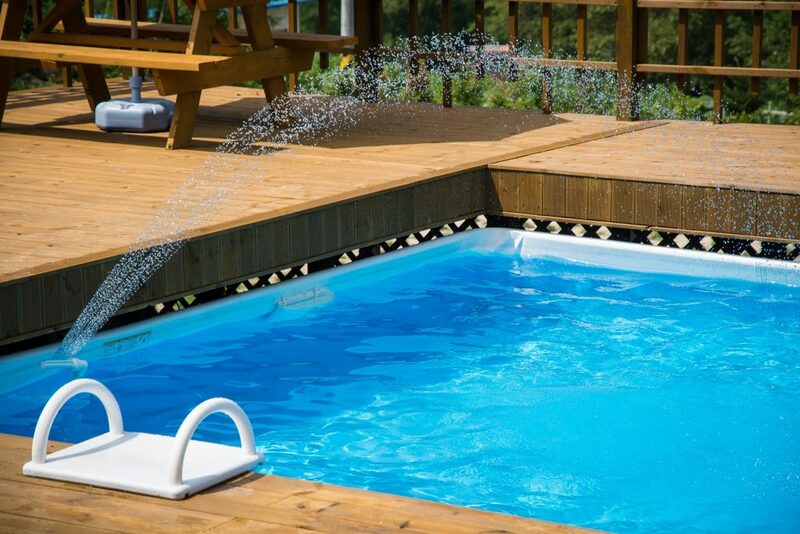 Putting a pool in your backyard is one of the most exciting things you can do as a homeowner. You’re basically building a private resort in your backyard, making it the perfect home renovation. And with so many backyard pool design ideas, it’s fun to consider all of your options before making the plunge. So whether you’re ready to put a pool in soon, or it’s just something you’ve always wanted to do and may someday, below are some of the most creative backyard pool design ideas out there. This style, of course, looks like a spa. The pool itself is usually set low into a deck area, giving it something of a hot spring look. Soothing plant life surrounds the pool. Wooden and stone partitions may sit near parts of the pool. And some even have casual deck furniture like outdoor beanbag seats. Some homeowners opt for re-creating the inclusive resort feel right in the backyard. The pool area itself is surrounded by stone walls. Tropical-looking plants like ferns spot the deck area in some cases. Lounge chairs and umbrellas line the deck. When you are redoing your home, of course you want every room to be absolutely perfect. After all, you will be living in the house, and you will want to see beauty everywhere that you go. That is why it is crucial to get all the information you can when doing a makeover for a room in your house, especially your bedroom. The bedroom is where you will be spending a lot of your time, so it should definitely look nice. These five tips will give you a head start on everything that you need in order to get your bedroom makeover started! Some people are not aware that the mattress they choose has a huge impact on the design of their bedroom. These people might ask: why is getting the perfect mattress so important? After all, there’s a lot of them to choose from. The answer is because quality is key in all design choices. When people see a good quality mattress on a bed, the entire room’s appearance is enhanced. Cheap foam mattresses may be kind on the budget, but they will not do the trick when you are completing your dream bedroom makeover. As well, you will need to use this mattress to get a good sleep. Therefore, adding a bit of extra money to get a really nice mattress will pay off for you in the long run. Some people love having bright and light-filled bedrooms. The atmosphere in the room is lifted with the addition of light. However, it is a bedroom, and should also be a calm and soothing environment. Choose lighting fixtures that have dual capabilities. For example, a bright ceiling lamp may double as a dimmer when you want to wind down after a long day. Having lamps on your night tables is another way for you to achieve this effect. The soft circle of light emitting onto the ceiling is all you need as you calm down from your long day. Try to avoid using extra bright lighting, as it can sometimes be too harsh on your eyes, and take away from the mood in the room. Congratulations! You’ve found the dream home where you can fufill all your hopes and dreams for the future. Perhaps, this is the place where you can envision your family can grow old in. Maybe the place where your aging parents can join your expanding family and have a comfortable space to live in. Because of this, you may want to take into account what your home will need to accommodate as you and your family continue to grow throughout the years. Having this in mind, there are necessary steps to take to ensure things, such as functionality, ease of access, and close proximity, for the future of your home. With things, such as pull out pantries, rounded corners, and slip resistant flooring, this article will provide 10 ways that you can incorporate into your home to promote aging in place. Now having read this article on promoting aging in place, we hope that you have found it helpful as well as beneficial. These 10 ways to promote aging in place will ensure the accessibility and functionality needed to create your dream house into a forever home for you and your family. With options, such as shallow sinks, counter height appliances, accessible corner cabinetry, and all drawer cabinets, to incorporate aging in place can be achieved and will be as easy as pie! If you have any questions or need help with your future remodel or addition project, please contact us and we’ll be more than happy to help you create a genuine environment! 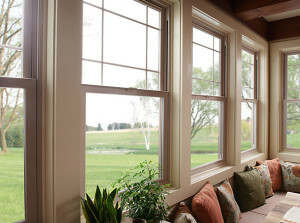 Read the full article on Houzz.com. When it comes to creating established storage spaces within the home, the kitchen has always been a difficult and trying one to tackle. With the abundance of new gadgets, bulky appliances, and fancy cookware available today, it is hard to imagine how to best store them in an organized manner. Because of this, these spaces may eventually become an unflattering and cluttered mess. This article will give you several ways to create custom storage ideas in order to keep these spaces nicely organized. This will help increase functionality and efficiency throughout the kitchen, which will also improve time management and organization now and for the future. With the ideas such as corner drawers, under sink drawers, and appliance garages, these 15 kitchen storage ideas will give you a wide range of different ways to suit any one person’s storage needs for the kitchen. Bathroom Ideas: Shower Curtain or Shower Doors? Although crown molding is often used to decorate the walls, cabinets and doorframes, getting creative with this luxurious touch can be a fantastic way to customize your home. 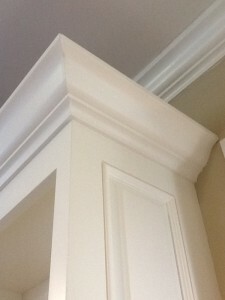 Our Saratoga remodeling project, for example, used crown molding on their custom-built entertainment center. Where else can you use this decorative detail? Does an area of your house feel dark and closed-in? Here’s a bright idea: add windows to the room to let in natural light! This will also make the space feel larger and much more open. Although skylights are a great way to do this, a window in your wall can be a nice design element to incorporate; plus if you are surrounded by a beautiful landscape, windows will let you enjoy it from the comfort of your home, regardless of the weather. 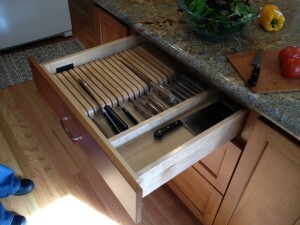 We’ve discussed kitchen cabinet accessories a few times before. Because this is such a fantastic way to personalize your home during a kitchen remodeling project, we thought it would be helpful to highlight three more kitchen drawer organizers, all recently added to our Los Gatos remodel. Have you considered your flooring lately? As a prominent part of your overall design, a home remodel is a good time to consider updating various rooms with something like oak hardwood floors. Used throughout our recent Los Gatos remodeling project (as you can see in the picture), oak flooring is a beautiful, classic option that will last for decades and add value to your home. 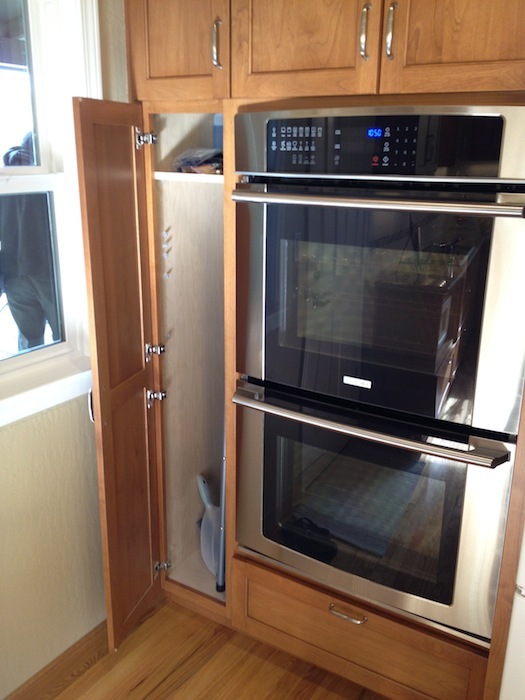 A few weeks ago we highlighted the new appliances in our Los Gatos kitchen remodeling project, including the client’s new Electrolux double oven. 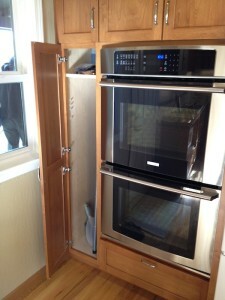 This isn’t your standard double oven, though, which is why we wanted to go into a little bit more detail. 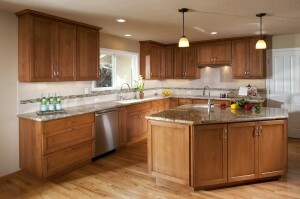 But first, we thought it would be good to go over a few tips for selecting appliances. What appliances do you have now? What do you like and dislike about them? What are your space restrictions?